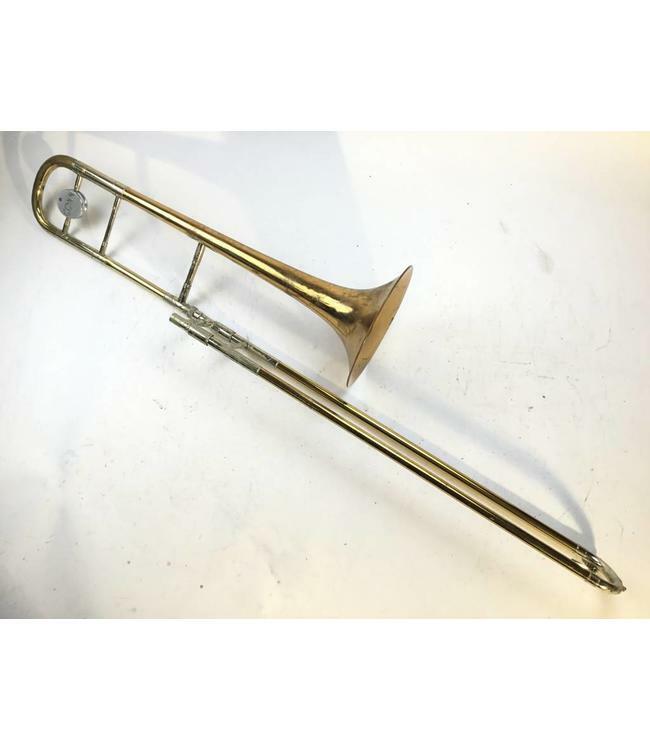 Used Conn 8H Bb Tenor Trombone in lacquer. .547" hand slide, 8.5" rose brass bell flare. Instrument has lacquer wear and scratches throughout, minor dings and scratches in the bell flare, and sign of previous dent repair to the bell and tuning slide. These is also a ding in the gooseneck and a come spots of plating wear on the inner slide tubes. No case.